Presently, there is a great demand and worldwide interest on foreign latin-rock releases, these obscures gems, made with crude recording equipment, amateur techniques, and with pressings done, most of the time, were on recycled vinyl. The Peruvian Rock music scene (Inca Rock), initially was basically influenced by Rockabilly and later on by the tidal waves created by Elvis Presley and The Beatles. Peruvians groups played in the musical styles of Elvis, Bill Haley, Buddy Holly, throughout the 50’s and early 60’s. Later on, the mid sixties saw the influence of Surf, Go Go, The Beatles and some of the first Mersey Sound groups inspired the new generation of rock musicians. During the unrest cauldron that Latin America was, over the period, the country would face two subsequent military coups and its losses. 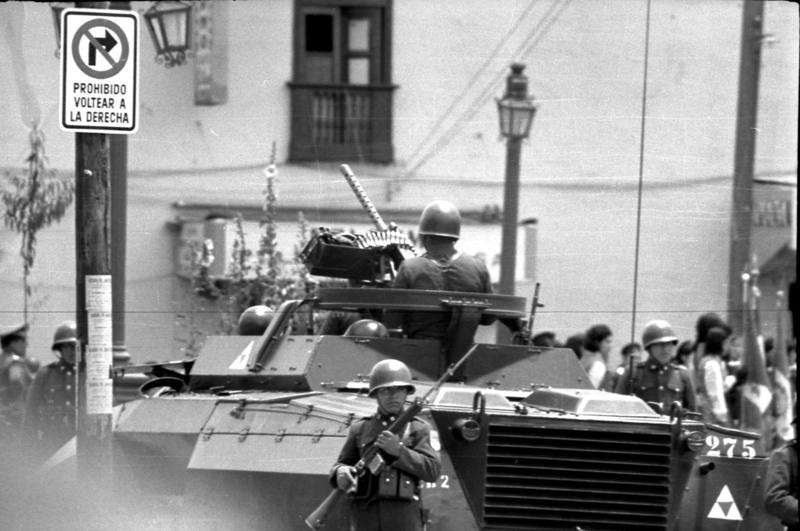 The imminent economic fiasco, made the military junta exchange its key figure, thus, Francisco Morales Bermúdez inaugurated the second phase government in early 1975. With a more conservative guidance, opening Peru to foreign capital and multinationals, the Inca inheritors would only saw a new constitution in 1979, and their first elections after thirty years in 1980. 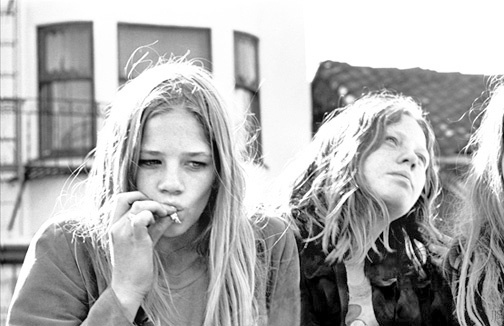 By the end of the decade, the psychedelic scene and its bands changed to the ‘new’ Progressive, Punk Rock and Heavy Metal aesthetics. Peru. The year of 1969 saw the development of the most interesting era from the Lima musical scene, groups like: Laghonia, Traffic Sound, Black Sugar, Pax, El Alamo, Gerardo Manuel & El Humo, Tarkus and Telegraph Avenue popped through a context of repression, poor technical conditions and radio boycotts. Peruvian rock only stands behind by Brazilian and Argentine scenes, with beautiful melodic textures and balanced blends of folklore and western influences! Special note by the legendary Mag label, they recorded 80% of the material from all these bands and certainly deserves a dedicated post. In mid 70’s, Telegraph Avenue were formed after the lead guitarist Bo Ichikawa returned to Peru, after having stayed half a year in San Francisco, he had been exposed to the vivid local hippie rock culture. 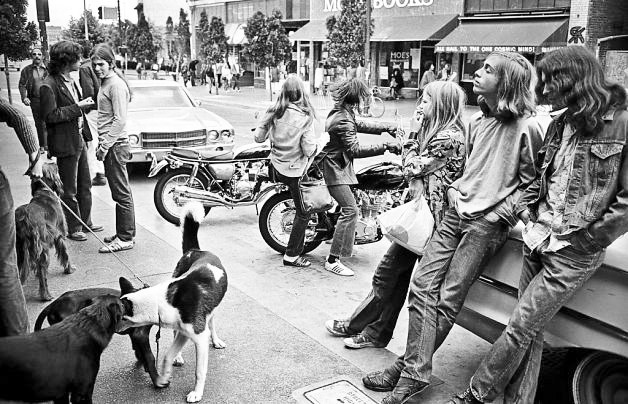 The crazy chain of events from the 60’s and 70’s had made Telegraph (a real avenue), as well as Berkeley, a symbol of the Counterculture of an era, attracting a diverse audience of visitors, including college students, tourists, artists, street punks, eccentrics, and homeless. There are some brilliant photos from that era by Nacio Jan Brown and Joe Samberg, for you to understand the outlook of an epoch, check it! On its return, he assembled all kinds of American influences, in a very powerful way, with English lyrics, and unlike ideas for the main arrangements. The band was finally formed with Bo Ichikawa and Chachi Luján on the guitars, Alex Nathanson on bass, and Walo Carrillo on drums and percussion; the only four-piece band that included melodic vocals and a mixture of psychedelic rock with Latin rhythms. An interesting fact is the multi-instrumental ability of all its members, too. 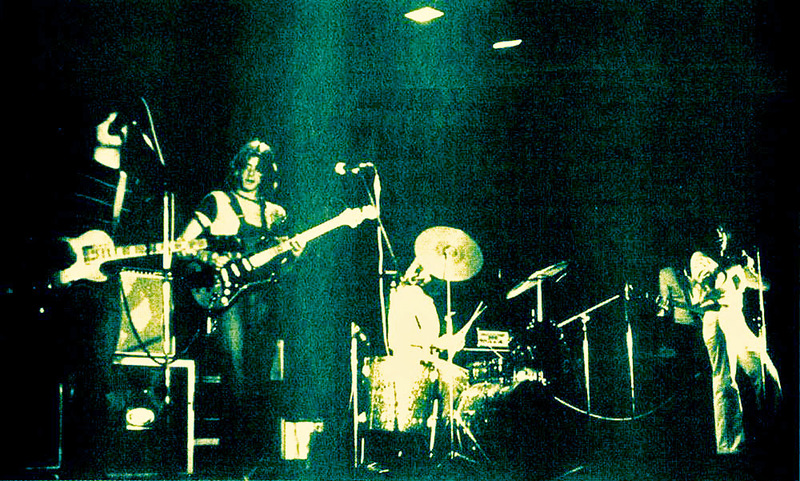 Later, the band would see a two-year hiatus after their first release, with Carrillo and Nathanson forming Tarkus on 1972. 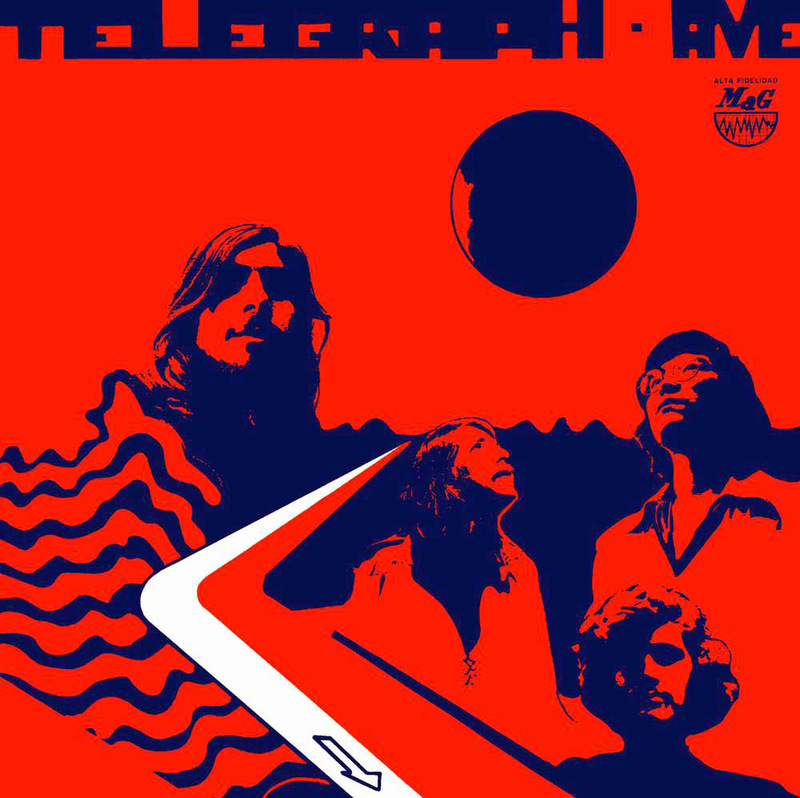 Then, the group reunited for its second and final release Telegraph Avenue Vol. 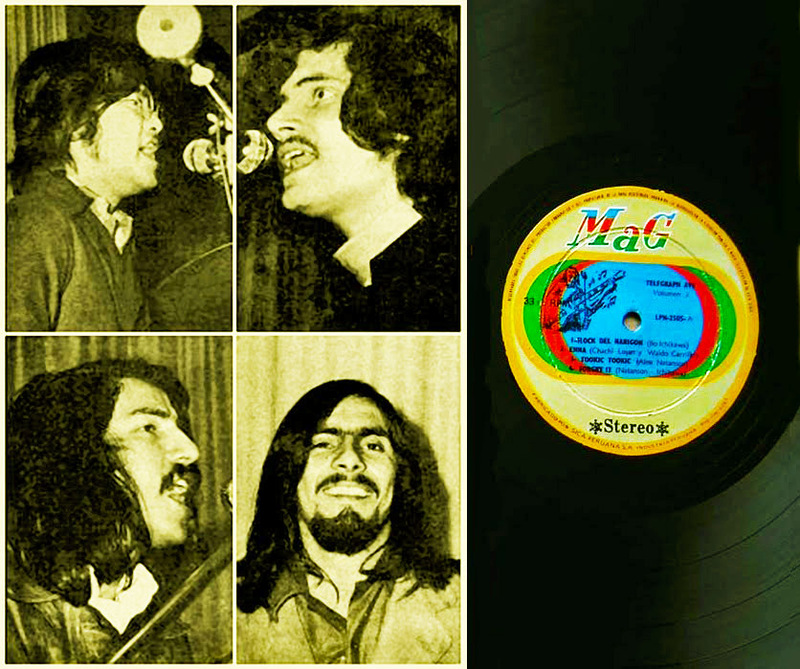 2 in late 74′ early 75′, shortly after, they were disbanded and the album became one of the lasts from the Peruvian psychedelic scene, much persecuted by the military dictatorship (sic). Nevertheless, since 2008 the band gather together once again, much influenced by the rediscovered and re-press of their first album. As if not enough, they also released a third Lp with inedited material on 2011, called Telegraph Avenue III! Before publishing its first album, the group was known from playing at parties in Pueblo Libre, the majority of these being graduation parties. There were also appearances at celebrations for the Club de Leones, Club Yugoslavo, Club Hebraica, and the Galaxy Discotheque, including a time were Telegraph Avenue played in the interior of an empty swimming pool! One of the most exciting concerts was at the University of Lima in November of 1970, the group was asked to play every weekend, and had bookings on Friday, Saturday and Sunday almost all year round. In June 1971, the band published their first self-titled Lp, which contained eight songs, it reached great sales during that year, and was well recognized throughout Peru. With more than 50 performances, they decided to take a break at the year’s end. With styles very varied, ranging from Californian feelings, soul, blues and sixties flavoured rock styles, the psychedelic element is rather unique and can only be heard in other Peruvian acts, such as Black Sugar. The ‘IM’ highlights are for: Happy, an ultimate ballad that makes me long for a time that i didn’t live, with heavenly guitars, tuned chorus and sweet naïve lyrics. An instant hit! And Let Me Start, a hard punch one with colorful fuzz, swinging bass line and nice uptempo mood. If on one hand, the band doesn’t have much engaged lyrics, the harmonic parts are over the psych average, don’t miss this Inca Rock memento. Yaxşı Səyahət! Grabación: Hecha en los Estudios Mag de Lima, Perú en 8 Canales.